Get ready for Spring and Summer with Heart to Get BOHO Floral collection. A collection for all Bohemian Summer girls, who loves pretty jewelry! Make your own little necklace party with BOHO Floral collection chokers and necklaces. 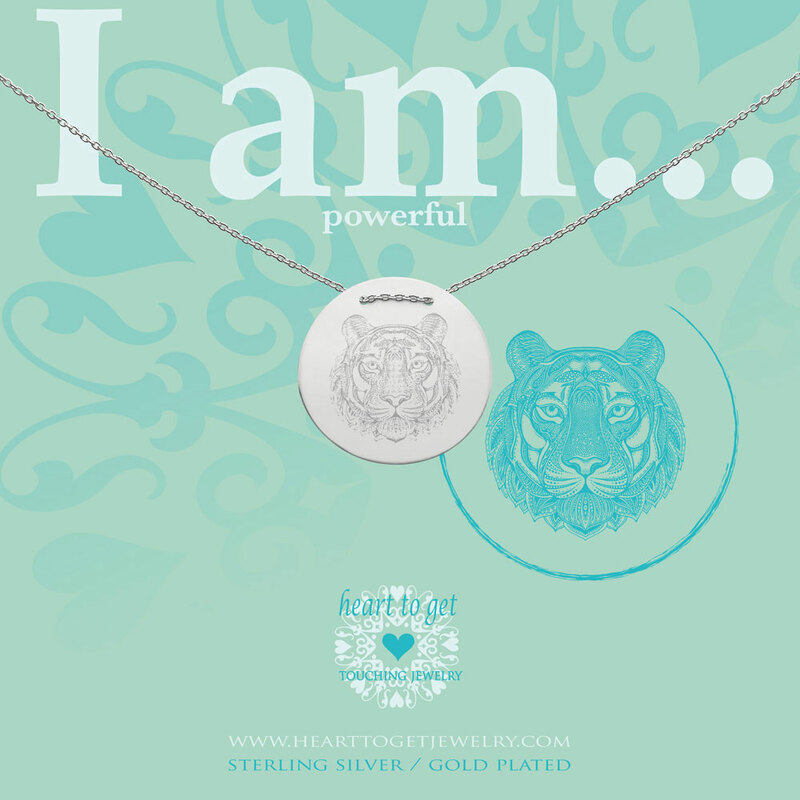 This necklace wears the message ‘Powerful!’. Length of the necklace: 40 cm + 4 cm extension. Size of the coin: 26 mm. Available in silver and gold plated. We love necklaces! You can wear as many necklaces as you want. Mix and match Heart to Get BOHO Floral collection necklaces with BOHO Floral collection chokers, to become the ultimate boho girl! Or with your all time favorite Heart to Get Jewelry necklace(s).